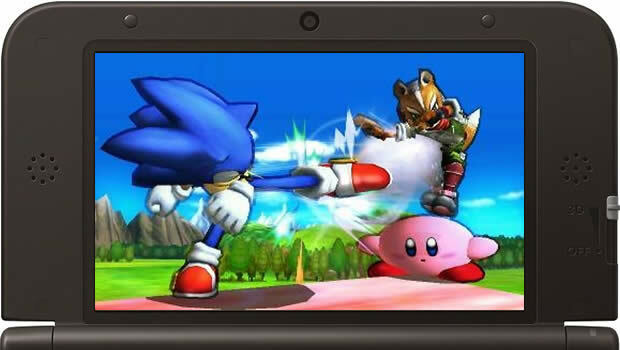 It’s been almost six years since Super Smash Bros. Brawl’s release, leaving fans antsy for the new release, but does Super Smash Bros. for 3DS live up to the hype? This iteration and the forthcoming Wii U counterpart were co-developed by director Masahiro Sakurai’s company Sora Ltd. and Namco-Bandai, a worthy choice considering the latter’s expertise with fighting games like Tekken and Soul Calibur. Namco’s ever-classic Pac-Man—arguably their most recognizable character—even joins the fight this time around, accompanied by classic fan favorites like Mega Man and Sonic. 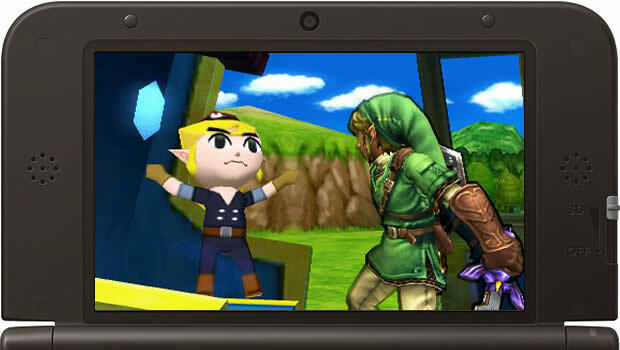 The first handheld version of the game in the franchise, Smash Bros. on the 3DS is surprisingly crisp and detailed, running at a clean 60 frames per second. The character roster is superb, boasting a grand selection of Nintendo’s mascots, heroes, sidekicks, villains, and oddballs, accompanied by the aforementioned guests. Every character sports eight costumes, some of which are completely alternate characters. Including these, the roster caps at over fifty characters! Each character’s moveset is directly inspired from the base game from which they originate, such as my personal favorites: Link who uses his gear found throughout The Legend of Zelda series, to Pac-Man chomping his way through foes. Furthermore, for the first time, you can choose from 12 different variants of their standard moves to assign to each character’s four special triggers. This new feature is most likely inspired by Namco’s character customization experience in their fighting games. You can also create a character with a Mii base, as Miis come in three base movesets: Brawler, Swordfighter, and Gunner. Each has access to 12 specials (various different attacks), entirely unique and thus, the Mii Fighters have a pool of 36 specials to choose from. Height and weight factor into the Mii’s performance as well, so no fighter is the same. You’ll spend most of your time looking at the top screen which is almost completely dedicated to the fighting area, with the only heads up display being the match timer. The health gauge and stats occupy the lower screen. Fighting is great with two players, but with three to four players the camera pans out and shrinks everything down, causing it to be difficult to track individual fighters. It can be more than a little jarring at first, but after about 20-30 minutes of play you do grow accustomed to it. Players with a 3DS XL should have a much easier time due to the bigger screen, but having played it on the standard-sized model I found myself craving an upgrade in real estate. The game modes offered are great- to an extent. There’s the traditional Classic Smash, where up to four fighters (including CPU) can brawl it out, supporting online play. The online servers allow you to have one-on-one solo battles as well as team battles, in either the casual “For Fun” matches, enabling items and wacky stage settings, or the competitive “For Glory” mode removing items and playing on flat-leveled stages. The online matches that I played were fun, as the true Smash Bros experience is playing against another living, breathing human,a role a CPU player cannot fulfill. Online stability was for the most part great, but network lag- no matter how little- can completely ruin the experience, causing you to miss attacks or rendering your last resort ledge grabs useless. With that said, it’s still very much an improvement from Brawl’s shaky online play. The least compelling of the game modes offered is the Smash Run game type, where player(s) have five minutes to grind through hordes of enemies to collect . This game mode just feels forced, and I couldn’t see myself playing it other than to just unlock upgrades. There are two main single-player modes: Classic Mode and All- Star Mode. In Classic Mode, players navigate through a maze of enemies until reaching the mode’s boss, the notorious Master Hand, gaining gold (the in-game currency used to buy trophies, more on that later) after his defeat. In All-Star Mode, players battle characters in the order from what year they debuted, battling fighters originating from 1980 all the way up to 2014. Both game modes are very similar, and ultimately just make me wish the adventure mode from previous installments was included to add some much needed diversity. Thankfully, the Stadium game type scratches that itch a little better, allowing players to partake in mini-games such as the “Home Run Contest” essentially knocking a sandbag as far as you can to get the highest score; “Target Smash” where players hit a bomb into an assortment of stacked blocks with targets inside ‘Angry Birds’-style; and my personal favorite, “Multi-Man Smash” where players are given only one life to battle hordes of CPU fighters. A fun diversion from the vanilla Smash, but not quite the pizzazz of the alternate modes in previous games. True to the “gotta catch ‘em all” philosophy of Nintendo, trophies are back, which are awarded randomly during matches in the various game modes or purchased with gold you earn along the way. You can also store the in-game photographs or video clips captured during matches, which you can even share with your friends online. The game’s various sound effects and themes are top notch, with the title theme an especially nice change from Brawl’s operatic foray. If you find yourself enjoying the game’s soundtrack, you can even listen to it while the 3DS is in sleep mode, effectively turning your handheld into a Smash Bros. iPod. 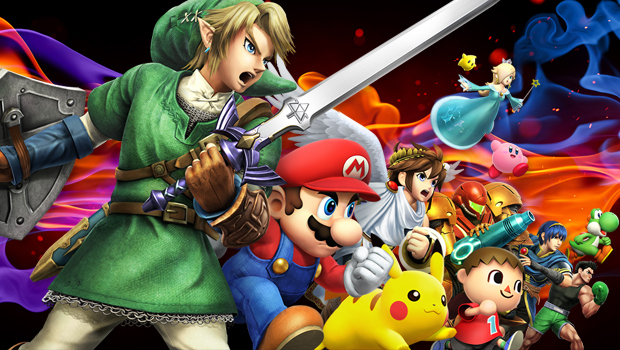 In the end, Super Smash Bros. for the Nintendo 3DS is phenomenal. 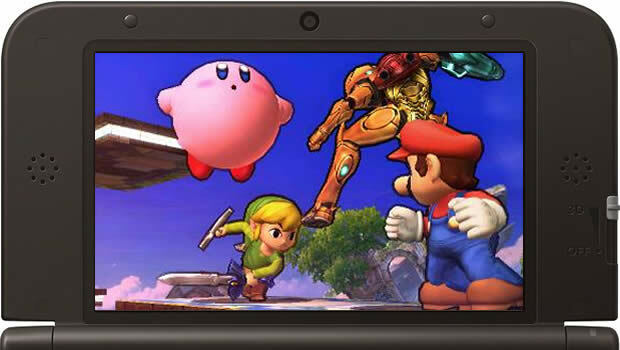 Let any doubts about a handheld version of this game be put to rest- Super Smash Bros. 3DS pulls no punches and stands proud with its console predecessors. Fighting controls are smooth and familiar. It can sometimes be difficult to track individual characters on the small screen. Smash Run mode feels forced. Lack of an Adventure mode. Griffin enjoys all things of the macabre and unordinary. When he's not playing video games, he can be found slinging bowls of ramen at the ramen shop he works at. Smash Bros. is his favorite game, and Griffin is a tried and true Link player.